The Affordable Care Act (ACA) was first enacted in 2010 under the Obama administration. A component of the ACA, the Employer Shared Responsibility Provision (ESRP), also referred to as the ACA employer mandate, was supposed to take effect in 2014, but was postponed and took effect in 2015. Applicable large employers (ALEs), organizations with 50 or more full-time employees and full-time equivalent employees, were required by the ACA to offer minimum essential coverage to at least 95% of their full-time workforce (and their dependents) whereby such coverage meets minimum value and is affordable for the employee or be subject to IRS 4980H penalties. However, no enforcement action from the IRS took place following the filing of ACA information for 2015. Nothing happened after filings for 2016. With newly elected President Donald Trump vowing to undo the ACA, it led many employers to wonder if the law was going to be enforced at all. The next sign came on June 30, 2017, when the IRS publicly released a letter it had issued to U.S. Representative Bill Huizenga. The Representative had inquired if there would be waivers available to businesses that had not filed ACA information with the IRS based on certain understandings and beliefs. The agency was clear in its response. There would be no waivers provided under any circumstances to businesses that did not file ACA information. 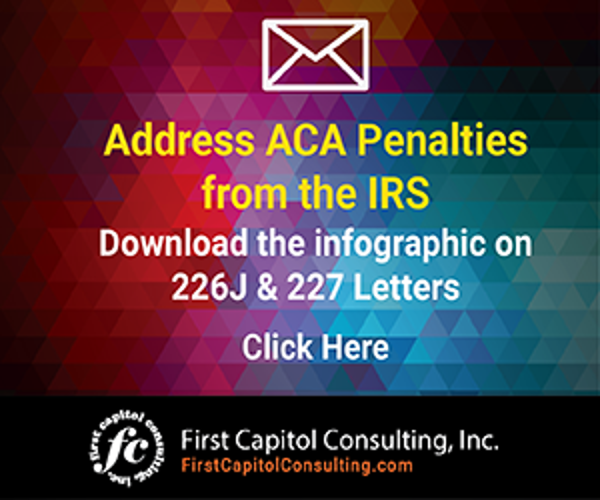 In November 2017, the IRS began issuing ACA Letter 226J penalty notices to ALEs who failed to comply with the employer mandate for the 2015 reporting year. Nearly three years after ACA reporting was first required of ALEs, the IRS is now starting enforcement of information filed in 2015. Of the 318,296 ALEs that filed ACA information returns for 2015, 49,259 were identified by the IRS as potentially owing an ESRP penalty. To date, the IRS has issued more than 30,000 Letters 226J amounting to $4.4 billion in penalty assessments. And more this year are sure to come. The most recent TIGTA report on the ACA has stated that the IRS has now gathered enough data that it can start issuing Letter 226J penalty assessments for 2016. It would not be a stretch to anticipate that even more ALEs will be out of compliance because of the stricter ACA rules for 2016 and beyond. For instance, the coverage threshold for offering minimum essential coverage increases to 95% of their workforce (and their dependents) whereby such coverage meets minimum value and is affordable for the employee. For 2015, the threshold was transitionally set at 70%. TIGTA reports that the IRS is improving the processes for identifying ACA non-compliance in a big way. For instance, the IRS chose at random which employers out of compliance with the ACA for 2015 would receive penalty notices. For 2016 onward, the IRS will be selecting employers on a “highest value of work” basis. In other words, the bigger the potential penalty, the more likely the IRS will come calling with a penalty assessment. This is bad news for larger ALEs that have been ignoring or lax in meeting the responsibilities under the employer mandate. For employers that were hit with Letter 226J in the last several months, all the signs alluding to the enforcement of the ESRP were there. For organizations that acted with prudence in ensuring ACA compliance, you had the foresight to see through the rhetoric out of Washington, D.C., that the ACA compliance for employers would be continuing. Contrary to the rhetoric, just about any meaningful attempt to repeal or revise the ACA has not included touching the employer mandate. It’s not going away. Even if you haven’t taken proactive measures to ensure ACA compliance now, it’s not too late. If you have not filed ACA information with the IRS, and so far have avoided receiving a Letter 226J, file this information as soon as possible to minimize potential penalties, which could be in the millions. You will want to engage an outside consultant with expertise in the ACA to assist you. 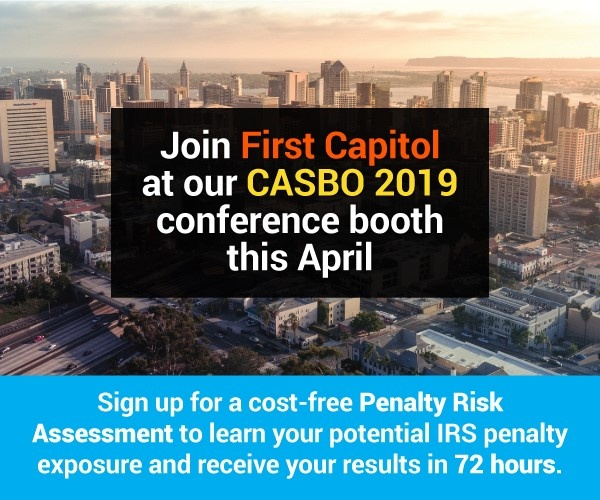 Identify one that has a track record of helping companies successfully file their ACA returns without resulting penalty assessments. 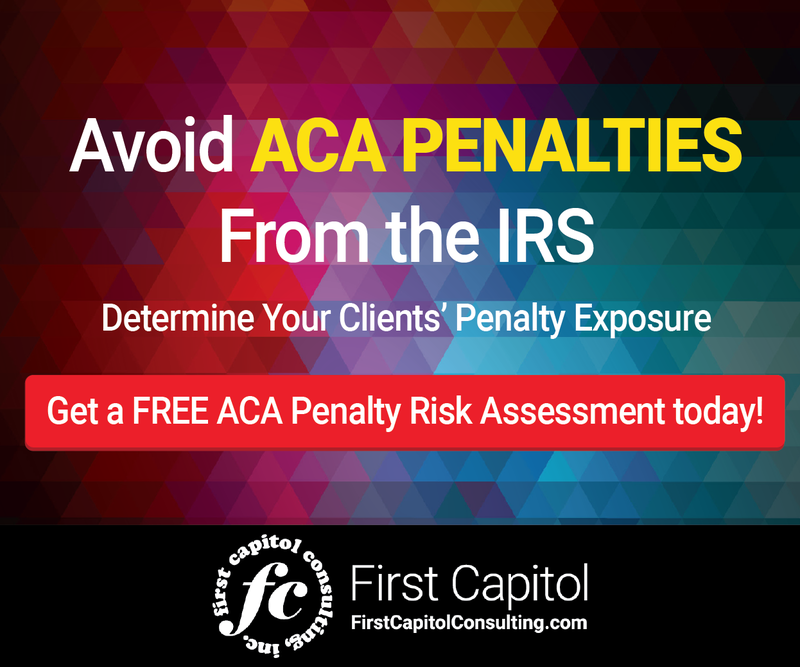 If you have completed your ACA filings to date, you may want to assess your potential risk of receiving IRS penalties if the agency determines that your filings are not in compliance or otherwise trigger penalties. Consider undertaking a spot audit of your IRS information filings for 2015, 2016 and 2017 to get a sense of what potential penalties might be and how to address the data problems that could result in those penalties. Some outside consultants will provide such this service at no cost. It’s a worthwhile activity. Correcting any data issues with the IRS before receiving a penalty notice could head off a penalty assessment. If you have a received a Letter 226J, find outside consultants that can help you in responding to the IRS. If you received a less than desirable Letter 227 response from the IRS to your Letter 226J submission, again consider working with an outside consultant to minimize the penalty damage. Learn what you can about Letter 226J and the series of Letter 227 responses that can come from the IRS may by clicking here. The enforcement of the Affordable Care Act caught many employers off guard, but the signs enforcement was coming were there for those who knew where to look.